Taken from IMDB: Holmes and Watson investigate a series of bizarre and apparently unconnected murders, and the death of a possible suspect. 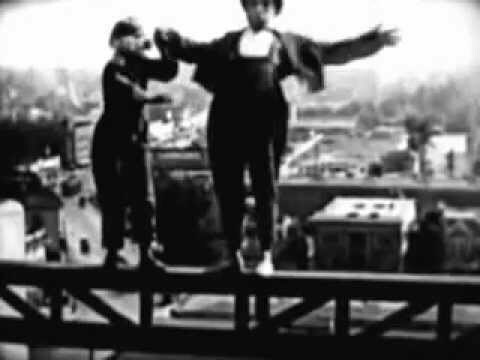 A skyscraper thrill comedy made a year before Harold Lloyd's "Look Out Below"
Alice's Wonderland (1923), from the series Laugh-O-Grams. 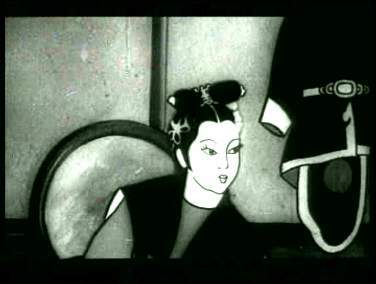 Produced by the Wan brothers in the midst of war, Princess Iron Fan is the first feature length animation made in China. We follow the Monkey King and his friends on their journey to the west. Charlie Chaplin's 14th Film Released May 07 1914 Chaplin plays a wife jealous of her husband's interest in another woman, played by Phyllis Allen. Charlie Chaplin's "Behind The Screen"
Charlie Chaplin's 57th Film released November 13 1916. Behind the Screen, a short film written and directed by Charlie Chaplin also starring Eric Campbell and Edna Purviance. Charlie Chaplin's 50th Film released In 1918. (put together by Essanay from unfinished Chaplin films two years after he had left the company) Triple Trouble was a silent film released in 1918. See the truth about the smoke from Hell! ;-) This propaganda film depicting the "horrors" of marijuana use.